Congratulations to MANTA Instruments Inc. for recently securing seed funding investment from the Triton Technology Fund for their breakthrough technology to effectively characterize nanoparticles! Read the press release here. 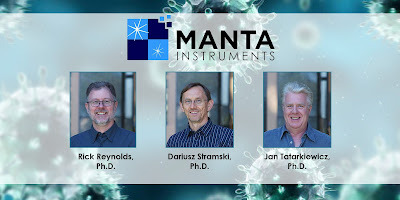 With decades of fieldwork and experience studying nanoparticles in seawater, MANTA founders Dr. Dariusz Stramski, Dr. Kuba Tatakiewicz and Dr. Rick Reynolds of the Ocean Optics Research Lab at the Scripps Institute of Oceanography (SIO) experienced firsthand the difficulty of getting good characterization data from nanoparticle samples. Even with the best technologies and scientific instruments on the market, methods were tedious and inaccurate results were often not usable for their scientific papers. Their experience inspired them to solve this core problem for measuring nanoparticle size and concentration. Stramski, Tatakiewicz and Reynolds developed their initial idea in 2010 and conducted research and development for 36 months at SIO. In 2014, the MANTA team connected with Rosibel Ochoa, Executive Director of the von Liebig Entrepreneurism Center, and received mentorship from von Liebig mentor Rick Cooper. 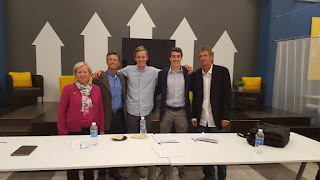 Cooper helped the team develop a business plan and financing strategy, and launch MANTA in September 2014. 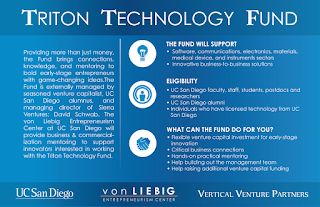 Though only a little over a year old, the Triton Technology Fund has already funded four exciting new startup companies based on UC San Diego affiliated technology. Since its launch in April 2014, the Triton Technology Fund has drawn interest from UC San Diego undergraduate and graduate students, faculty and alumni, receiving over 64 diverse applications from 17 different UC San Diego departments – including the Rady School of Management, Economics, the School of Medicine and the Scripps Institution of Oceanography alongside several departments within the Jacobs School of Engineering. 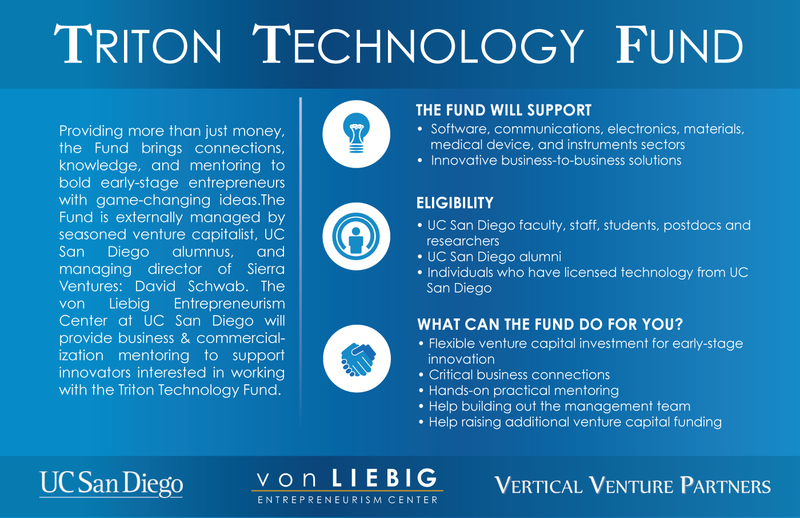 The Triton Technology Fund was created to support UC San Diego students, faculty and affiliates by helping them accelerate the commercialization of their discoveries and technologies. The Fund’s goal is to leverage UC San Diego breakthroughs that will ultimately benefit society and is actively looking to fund software, communications, electronics, materials and medical devices and support those that have innovative business-to-business solutions. If you’ve got a concept that you’ve been working on, swing by the von Liebig Entrepreneurism Center. They’ll point you in the right direction. This year, the Gordon Engineering Leadership Center held its annual Think Tank on the Future of Digital Health on Friday May 15th and Saturday May 16th. The goal of the Think Tank was to bring together students, industry professionals, healthcare workers, and faculty to discuss the problems in medicine and how technology can make an impact. This year’s Think Tank was a success with approximately 50 researchers, faculty, industry experts and graduate students in attendance working on current challenges at the intersection of medicine and technology. CEO of Cambridge Life Sciences, Dr. Cleland Landolt, MD kicked off the event as this year’s keynote speaker. Dr. Landolt’s talk was titled “Digital Diagnostics – Identify the Killer You Never Saw Coming”. His background as a cardiac surgeon and experience in the biotechnology industry gave unique perspective into how new diagnostic technology detecting metabolic indicators could make a significant difference in predicting onset of cardiovascular disease. Dr. Landolt emphasized that while statistics developed via “Big Data” and diagnostics are interesting, focus has to be on making statistics clinically useful and applied in a preventive model of healthcare. Following Dr. Landolt’s talk, Gioia Messinger, MS, MBA, gave insight on the intersection of engineering and technology commercialization in healthcare. Messinger is a serial entrepreneur, who has served as Chief Judge of Qualcomm Tricorder XPRIZE, Founder/CEO of MedSmart, and participated in the development of the endoscopic PillCam.. In her talk titled “Why Digital Health, Now!”, Messinger introduced the audience to trends in entrepreneurship, funding, and startup companies while highlighting key characteristics of companies that caused them to succeed. Dr. Jacob Aptekar, PhD, CEO/Co-founder of Helynx, introduced the audience to the world of Electronic Health Records (EHR). In his talk “Data Driven Medicine in the EHR Age”, Dr. Aptekar spoke about how his company utilizes the data available in hospitals to effectively visualize trends that are clinically actionable, making an immediate impact on patients’ lives. Dr. Aptekar also described his journey of how he combined his medical and graduate education at UCLA to start an entrepreneurial venture, giving sound advice to all the students in the audience who were interested in pursuing a startup in the healthcare space. Dr. Daniel Calac. MD, finished off the morning session with his talk “Hacking the Rez”. Dr. Calac serves as the Chief Medical Officer of the Indian Health Council, where he actively treats the Native American population. As a practicing physician embedded in an underserved community, Dr. Calac educated the participants on the challenges, the mentality, and lack of resources available to these communities. At the same time, he also posed a framework to innovate so that many of the talented participants in the room could develop ideas still being cognizant of the cultural and financial sensitivities. After lunch, UC San Diego alum Dr. Wilson To, PhD highlighted how to impact patients personally and on a population level in his talk “Innovation Across the Healthcare Spectrum.” Dr. To emphasized how the healthcare system today is ripe for destruction, and explained why the business model of medicine is changing and how do we holistically allocate resources to the right patients and ultimately improve clinical outcomes. Dr. To argued how it is important not only to utilize analytics and data, but also programs that keep the patients engaged with their own health. Next, Moxie Center for Student Entrepreneurship Executive Director Dr. Jay Kunin, PhD moderated the Future of Digital Health panel consisting of Dr. Cleland Landolt, Dr. Wilson To, and Dr. Rob Matthews, PhD. An experienced engineer, Dr. Matthews has worked in the industry at large companies and startups is currently starting companies focused on health technology. The panel focused on answering questions regarding three different topics: Remote Monitoring, Big Data Analytics, and Lifestyle Medicine. Following the panel, the participants received informational material on these topics in order to form teams and brainstorm potential solutions to the affected areas in healthcare. Great discussions began at this point and were continued the following day. Nursing Innovation Leader at Kaiser Permanente Dr. Dan Weberg, PhD, RN finished off Friday with his talk titled “Imaging Care Anywhere: Future of Healthcare Technology.” Dr. Weberg focused on innovation within Kaiser Permanente and how emerging technology is evaluated and tested in clinical situations. As the final speaker of the day, he gave key advice for product developers on how to integrate within the healthcare system, keeping in mind the electronic systems and the workflow. Gordon Engineering Leadership Center Executive Director Dr. Ebonee Williams PhD and von Liebig Entrepreneurism Center Executive Director Dr. Rosibel Ochoa PhD welcomed participants back on Saturday with a quick recap of Friday’s talks and an introduction of the day’s first speaker, Dr. Erik Viirre, MD, PhD. A UCSD Professor and Director of the Qualcomm Tricorder XPRIZE, Dr. Viirre gave a phenomenal overview of the XPRIZE competitions and in particular how people can be empowered to change healthcare. He emphasized how the competition evaluates the devices not only based on functionality but also consumer appeal and understandability. Next up, Dr. Royan Kamyar, MD, MBA, CEO of OWaves, explained his insight into the intersection of lifestyle medicine and entrepreneurship in this talk “New Vitals Signs and Opportunities in Mobile Health”. He emphasized how lifestyle changes including diet, exercise, sleep, meditation, and social connections are essential to living healthy. Dr. Kamyar now wants to empower patients with his app-based company OWaves which offers a method to track the time spent in various lifestyle facets. After Dr. Kamyar’s talk, the participants split into three groups in order to tackling the issues in remote monitoring, big data analytics, and lifestyle medicine. The group focusing on lifestyle medicine came up with an idea to create a financially or academically motivated incentive system within university targeted at both undergraduate and graduate students. The Big Data Analytics team came up with a solution to use analytics to triage students with mental health issues in university settings. The remote monitoring group presented a solution to use a single lead EKG to monitor patients at risk for health failure. Dr. Mike Krupp, PhD, a Business and Technology Advisor to the von Liebig Entrepreneurism Center, moderated the presentations. Dr. Todd Coleman, PhD, Associate Professor of Bioengineering finished the day off with his talk titled “Three Paintbrushes.” Dr. Coleman spoke about utilizing technology, analytics, and medicine together to make a real-world impact. He focuses on wearable, unobtrusive technologies paired with clever machine learning algorithms as well as direct patient engagement in underserved communities. Overall, the event had great speaker and participant engagement and fulfilled its goal of sharing different industries’ perspectives on healthcare. Drosophila heart tube and associated structures. A team of researchers led by bioengineers at the University of California, San Diego provides new insights on how hearts “stay young” and keep functioning over a lifetime despite the fact that most organisms generate few new heart cells. Identifying key gene expression changes that promote heart function as organisms age could lead to new therapy targets that address age-related heart failure. The researchers found that the contractile function of the hearts of fruit flies is greatly improved in flies that overexpress the protein vinculin, which also accumulates at higher levels in the hearts of aging rats, monkeys and humans. In addition, flies genetically programmed to express elevated levels of vinculin lived significantly longer than normal fruit flies. The new study attributes the longer life of the flies to the improved contractile function of the heart due to the presence of more vinculin, which helps with the structure of the heart and connects heart muscle cells. This work is published in the June 17 issue of Science Translational Medicine. Heart disease is the leading cause of death globally and advanced age is a primary risk factor. For example, if additional research supports these new findings, targeted gene or drug therapies related to vinculin and its network of proteins could be developed to strengthen the hearts of patients suffering from age-related heart failure. Kaushik and colleagues genetically modified fruit flies to overexpress proteins, including vinculin. Image of the heart (center) running along the abdomen. The human heart is capable of functioning for decades despite the fact that few new heart cells are generated over the course of a lifetime, indicating that alterations in gene expression, known as “remodeling events” help to maintain heart function with age. In the study, 50 percent of vinculin-overexpressing flies lived past 11 weeks, to a maximum of 13 weeks. In contrast, 50 percent of control flies only made it to 4 weeks old and none lived past 8 weeks. “Fruit flies only live for a few weeks which makes them an ideal model for studying aging,” Engler explained. Near the beginning of the study, Kaushik and Engler began an outreach effort with a local high school class in San Diego, CA. Kaushik tasked the students with a small pilot study in which they monitored the genetically modified fruit flies over a period of six weeks. Jesse Robinson is a biology teacher at Gary and Jerri-Ann Jacobs High Tech High Charter School. Each year, Robinson’s junior-level biology class works with local scientists on a project. Carl Shefcik, Madison Clark, Hannah Goodwin and Stephen To, now graduating seniors, were all part of Robinson’s class in the Fall of 2013 when the project was assigned. “We were divided into pairs and assigned two groups of fruit flies – a control group, and a second strain containing one of the mutations that Dr. Engler’s group identified,” said To. The outcome was surprising to Engler and Kaushik, who as a result decided to expand the experiments to focus on vinculin for the study being published in Science Translational Medicine. Discoveries that change lives increasingly involve engineers. 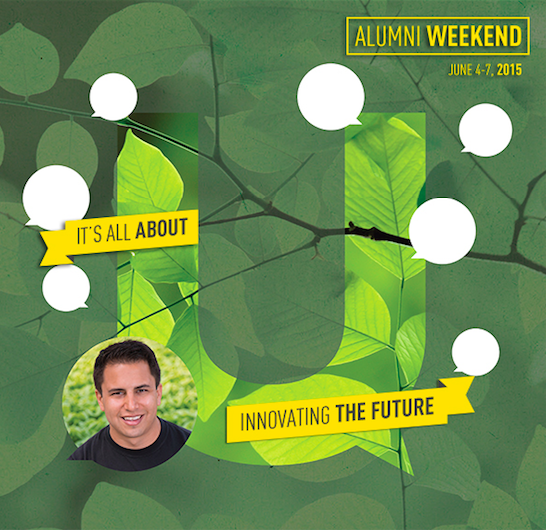 UC San Diego held its annual Alumni Weekend June 6-7, 2015 and featured a talk by Pierre Sleiman, graduate of Rady School of Business Class of 2013 and UC San Diego Alumni Honoree of 2015. 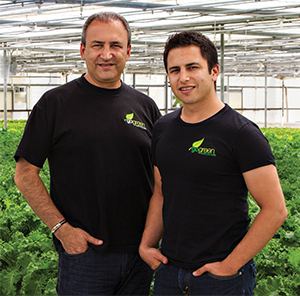 Sleiman is the founder and CEO of Go Green Agriculture, a company dedicated to local farming and sustainability through hydroponic technology with strong family values. 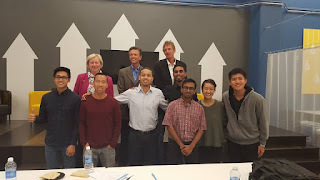 The event was held in The Basement, a shared campus-wide enterprise operated by Alumni & Community Engagement with a mission to stimulate, encourage and serve the entrepreneurial spirit of UC San Diego undergraduate students by educating them in the startup business process whether it’s evaluating an opportunity, starting a company or joining an existing startup. 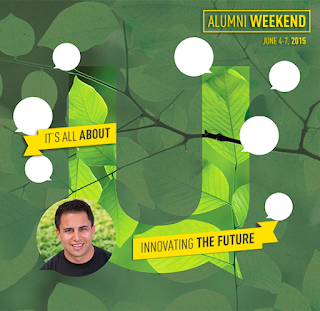 Sleiman spoke of his initial entrepreneurial endeavors, from starting his first business to brainstorming in his college dorm room. Because he had to support himself financially in college, Sleiman wanted to create his own company that combined agriculture and technology. So, Sleiman shared some of his own struggles. Though he was regarded as the "networking assassin" by his graduating class, Sleiman strongly disliked public speaking as a kid - imagine a nervous student with heart pounding, palms sweating, terrified. He wanted to improve himself, so he worked hard at becoming more comfortable with public speaking. It wasn't easy - he went through many rejections and moments of embarrassment before he found confidence within himself. Slowly, public speaking became somewhat of an adrenaline rush, and he now encourages everyone to practice as much as possible. According to Sleiman, networking is like dating. "You have to have a purpose, and your entry and exit should be executed with good timing and style," said Sleiman. "More importantly, you have to sell your personality and connect on a human level." For example, Sleiman says he focuses on creating a relationship with his customer - whether that be a buyer, investor, or someone just trying to learn more about his company - rather than the selling the business. "You're not investing in Go Green," said Sleiman. "You're not investing in this product. You're investing in me." Beyond networking, the entrepreneur says he loves helping others find their motivations. He suggests looking at what is important to you and what you are willing to lose. "Sometimes you find that you have nothing that is important, but that's perfectly okay," said Sleiman. "Many people are still looking for the formula." The search for that formula can be short for some, such as Zeke Bottorff, a current fifth year transfer and one of the CEOs of the Entrepreneur Challenge. Having grown up in a poor family with his earliest memories taking place in a trailer park where he lived, Bottorff took on his first job at the age of five. Bottorff is heavily involved with The Basement, which he describes as a new space for entrepreneurs, a "student-to-student organization serving to help businesses grow and expand." Rady School student Mike Hayden is also involved in the organization and describes The Basement as an "inclusive workspace for students to collaborate" that "provides resources for students who are active entrepreneurs." Hayden describes Sleiman as a phenomenal leader who can energize just about any situation or any person. "It's no wonder that all he has to do is sell himself," said Hayden. 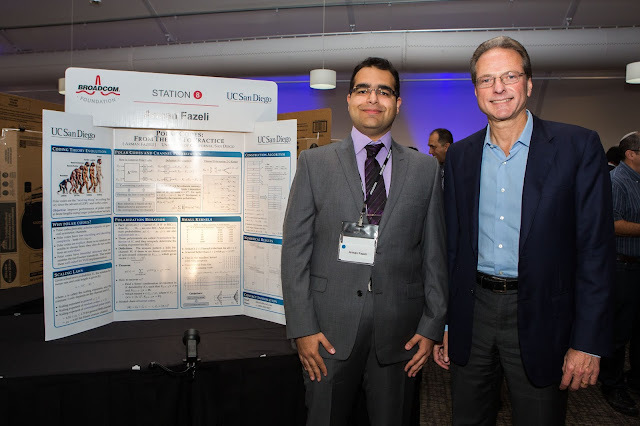 UC San Diego Graduate Student Arman Fazeli and Broadcom Co-Founder, Chairman of the Board and Chief Technical Officer Henry Samueli. Fazeli was among student finalists from 12 universities around the world competing at Broadcom Corporation’s annual Technical Conference held in Irvine, California on June 4. Selected by Broadcom Foundation’s Selection Committee comprised of preeminent engineers, finalists shared insights into their engineering research projects and how their future applications will contribute to advancement of society. In the final round, more than 400 distinguished Broadcom engineers judged the finalists on a three minute presentation with a single slide and in a four hour poster session where they demonstrate the scientific rigor, technology sophistication, innovation of their work. The event is sponsored by Broadcom Foundation, a non-profit funded by Broadcom Corporation (NASDAQ: BRCM). This year, the Moxie Center for Student Entrepreneurship was able to double the total amount of cash prizes for student teams at its annual Zahn Prize Competition. 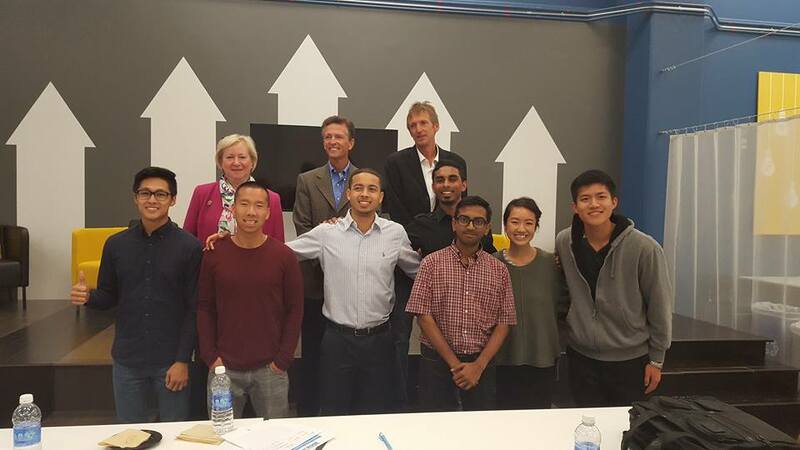 The 2015 Zahn Prize Competition was held at The Basement, UCSD’s newest entrepreneurial space, and the Moxie Center awarded a total of $20,000 in cash prizes to seven students, Ganesh Elie of Slithr, Josh Cohen of Tranio, Eric Suen of Aqua Design Innovations, Inc., Joy Sampoonachot and John Chou of Cocoon Cam and Deepak Atyam and Alex Finch of Tri-D Dynamics. Moxie Center Executive Director Dr. Jay Kunin introduced the competition’s three judges, Dr. Martha Dennis, Mike Krenn, and Jeff Draa, who are experts in building startups and securing venture funding. The judges had their work cut out for them as the competition had 12 participating teams from the Moxie Center and only five prizes to award. The new Moxie teams and the veteran Moxie teams competed in two separate divisions for their presentations; Division I for the new teams had an allocated $5,000 budget, while Division II had the remaining $15,000. After the presentations, the judges had only 20 minutes to make their final decisions. 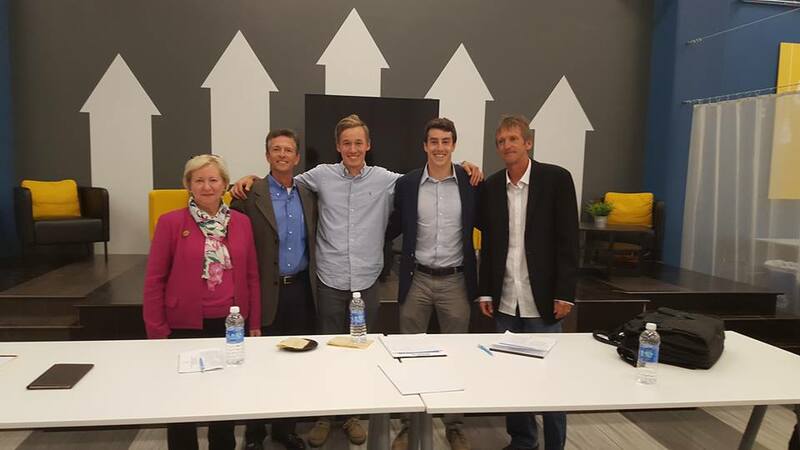 Division I winners Slithr and Trainio impressed the judges with their designs for a customizable electric longboard and an athlete training device respectively. After attaching Slithr’s base unit to their longboard, users can control the speed and acceleration of their vehicle with a wireless controller. The team is now currently working on their Delta prototype before launching a kickstarter. On the other hand, Trainio is developing their SpeedTrain device that will enable athletes and coaches to improve their speed and train smarter. The device connects with your smartphone and users can access the recorded information, workout analysis and training suggestions through their mobile application. Division II participants were also faced with tough competition. In the end, Aqua Design Innovations, Inc., Cocoon Cam and Tri D Dynamics ended up taking the prizes. 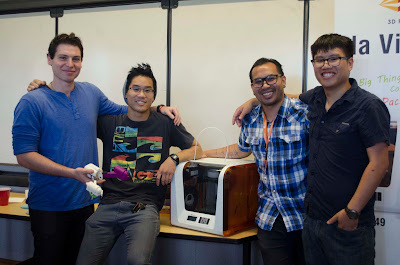 The founders of Aqua Design Innovations, Inc. (ADI) designed a desktop ecosystem with an aquaponics filter. Their design for their EcoQube is already on its second iteration and recently ended their kickstarter with over $370,000 in backer support. Cocoon Cam, a Computer Science and Engineering-based startup, aims to improve health and activity monitoring systems for infants. By using computer vision, wireless hardware and video analytics technology, the camera will be able to transmit and record live respiration rate, heart rate, temperature, sound and video of a baby without requiring the baby to wear an activity tracker. Tri D Dynamics is another impressive student startup that made UC San Diego the first university in the world to successfully design, print and test a metal 3D printed rocket engine. Both Cocoon Cam and Tri D Dynamics have participated in the von Liebig Entrepreneurism Center's NSF Innovation Corps program. Congratulations again to the students and teams who participated! A University of California, San Diego graduate student has found a way to use mass-produce graphene, an allotrope of carbon that is one atom-thick – and his technology is getting noticed by investors and venture capital firms. The large-scale graphene can be used for applications such as flexible electronics and water desalination membranes. “Graphene is more conductive than any metal we know of and it’s 200 times stronger than steel because of the way the atoms bond to form a hexagonal pattern (think of chicken wire) with a cloud of free electrons hovering above and below it,” said UC San Diego NanoEngineering Ph.D. candidate Aliaksandr (Alex) Zaretski. According to Zaretski,no one has been able to produce graphene on a large-enough scale for industrial applications. There are ways to do it – graphene can be grown on a copper substrate and pried off, but only after a few hours in an acid bath. As an intern at Cornell University under the mentorship of graphene expert Paul McEuen, Zaretski had an idea. What if graphene could be liberated from its substrate by overcoming the adhesion strength with a greater force? Determined to pursue this research project, Zaretski arrived at UC San Diego as a NanoEngineering master’s student. Under the supervision of Darren Lipomi, professor of NanoEngineering, Zaretski developed a method in which graphene is grown on a copper substrate and overlaid with a sheet of nickel. Because graphene adheres better to nickel than to copper, the entire graphene single-layer can be easily removed and remains intact over large areas. At that time, Zaretski was looking to transfer into the nanonengineering Ph.D. program at UC San Diego. He joined Lipomi’s lab, where he was encouraged to explore his ideas. "Alex is full of creativity," said Lipomi. "He is the kind of student a faculty member encounters only rarely in his or her career. I have been happy to support Alex's research and entrepreneurship, and his is the first startup originating from our laboratory." Zaretski founded GrollTex, a company that seeks to commercialize a new method of fabricating large-area single-atom monolayer sheets of transparent graphene. After winning the UC San Diego Entrepreneurship Challenge, Zaretski caught the attention of Rosibel Ochoa, Senior Executive Director, Entrepreneurism and Leadership Programs at the Jacobs School of Engineering, who suggested he apply to the Southern California Clean Energy Technology Acceleration Program at the von Liebig Center for Entrepreneurism. With the funding he received through the program and the Entrepreneurship Challenge, combined with research funding from Lipomi, Zaretski was able to purchase a reactor to grow graphene on copper and demonstrate a new method of transferring it to flexible substrates. Last year, among several other graduate students from the Jacobs School of Engineering, Zaretski was awarded the prestigious three-year National Science Foundation (NSF) Graduate Research Fellowship to further his graphene related research. Things took off – Zaretski and Lipomi patented the technology through UC San Diego’s Technology Transfer Office and obtained an exclusive license. From there, he went on to form a core team by hiring a CEO – Jeff Draa, President of Tech Coast Angels. Grolltex has also received pre-seed investment from the UC San Diego affiliated Triton Technology Fund. Zaretski’s startup took home $25,000 and first prize at Chapman University’s 4th Annual California Dreamin’ Business Plan Competition in April. An invitation-only event, California Dreamin’ is a nationwide entrepreneurially-focused higher education competition. This year’s competition took place April 24-25, 2015 at Chapman University’s campus in Orange, CA. It featured 28 schools competing for prize money and potential equity investment, along with connections to venture capital firms. GrollTex beat out 27 other companies showcasing everything from smartphone apps to new drugs for the top spot in the competition. After representing UC San Diego in Chapman University’s 4th Annual California Dreamin’ Business Plan Competition, Zaretski hopes to continue networking with the potential investors and venture capital firms that were in attendance. “We’re currently talking with companies about lab space and strategic partnerships,” said Zaretski. Zaretski says none of this would be possible if it weren’t for the unique culture at UC San Diego that fosters entrepreneurship. Recently, I had the pleasure of stopping by UC San Diego’s first annual Make-A-Thon. I wasn’t entirely sure of what I should expect, but I was excited and knew I would be amazed. Upon entering the room, I could feel something special—you know, that buzz and energy only a room full of driven and tenacious people working with grit could create. The student organization Triton 3D-Printing Club (T3D), new since January of this school year, arranged a 3D printing hack-a-thon event with the hope of encouraging students to learn how to approach problems in a team setting and exposing them to experiment with 3D printing. The competition was split into two categories: novice and advanced, with participants ranging from first years to graduating seniors. I had the opportunity to speak with winning advanced team. 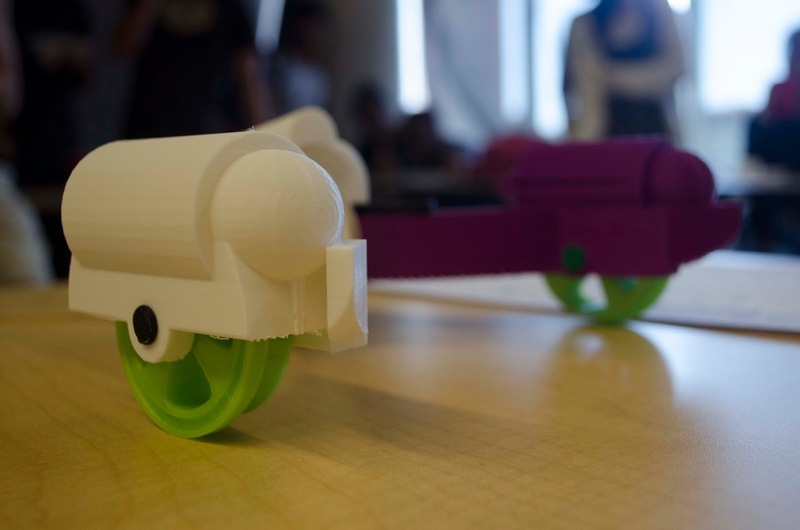 The four members of the winning team, Shake and Bake, were awarded their own 3D printer for their design, which resembled the pod racer from Star Wars. The team consisted of graduating seniors Narek Geghamyan, Daniel Ip, Victor Long and Glen Padilla, all studying either mechanical or aerospace engineering, and most of them had no prior experience with 3D printing. It took the team about thirty minutes to brainstorm, and four to five hours of pure design before they were ready to print. They each made their own individual designs before reconvening to take the best aspects of each idea and build prototypes until they knew each part was entirely functional and efficient. They described their experience as a “very enjoyable process,” and praised 3D printing for its rapid prototyping ability. As one Shake and Bake member said, “You rarely have the ability to build an entire device out of scratch in one sitting.” And I believe the event’s lead coordinator, Andy Kieatiwong, would vigorously nod his head in agreement. For some of us, this tool is still very new. I also spoke with one of the novice teams; the group consisted of freshmen Zenas Heng, Emilee Kang, Kasey Li, and Joe Wong, all students pursuing – or at least interested in – some form of engineering. None of them had any experience with hack-a-thon-type events, nor did they have much experience working with 3D printers. 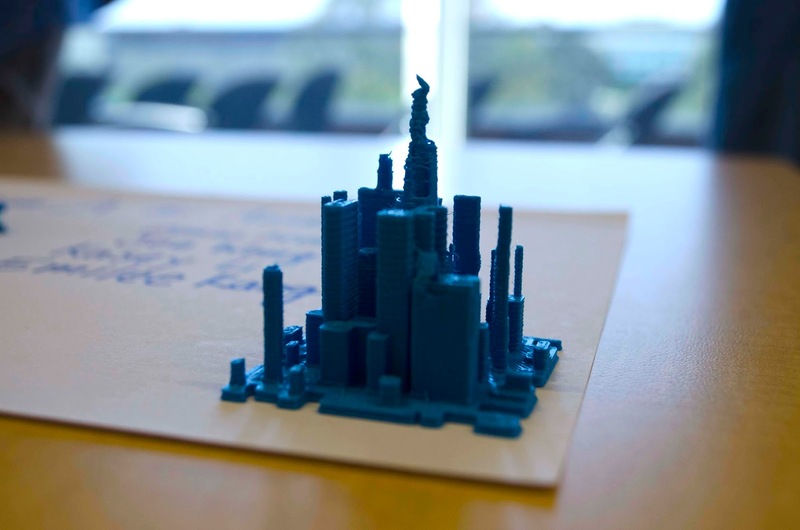 They learned a lot – miscommunication and technical errors prevented them from printing on time, leaving them with very small models. Despite the drawbacks, none of them regret having participated in the event. As a freshman myself, I agreed with them that the Make-A-Thon is one of the many opportunities that contribute to our above-average engineering experience here at UC San Diego. 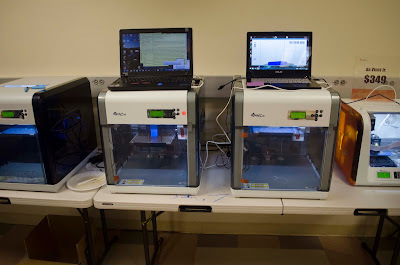 Beyond the grandeur and promise 3D printing holds, the Make-A-Thon offered experience to those without the means of obtaining it. Furthermore, the event was less about competitive feelings and more about having fun. The novice team I spoke to chose to participate in the Make-A-Thon after having heard about the event from their friends. One of the Shake and Bake members even called his group the “all-star team.” Perhaps he said that because they all had extensive experience with modeling software, but I’d like to believe it was because the accomplished something else – they simply made memories with friends. This event was sponsored by ARRK, Forecaset 3D, Pixologic, Polymaker, and XYZPrinting. ARRK and Forecast3D attended the networking event. As prizes, Pixologic donated ZBrush licenses (software for design) and XYZ contributed a smartwatch and lanyards. For the competition Polymaker donated filament (PolyFlex, PolyMax, and Plywood), and XYZ loaned printers. Also, special thanks goes to Adrienna Yan and Joe Wong for photographs from the event.